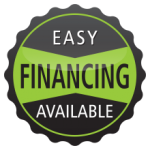 Our flexible financing options can help you afford the ideal accessible vehicle. Your accessible or non-accessible trade-in vehicle can be used as a down payment on your new or used wheelchair van. Call us to see what available government and non-profit organization grants and disability assistance programs for your wheelchair van purchase. We also offer disabled driver training and provide transportation services for the physically and mentally challenged in Northeastern Pennsylvania (NEPA). Keller Wheelchair Lifts carries new & used handicap cars & vans for sale. Previous Previous post: Buying a Wheelchair Van?